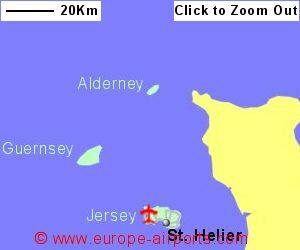 Jersey Airport is located 7 Km north west of St Helier, the capital of the Channel Island of Jersey. A major redevelopment of the departures terminal has been underway during recent years. 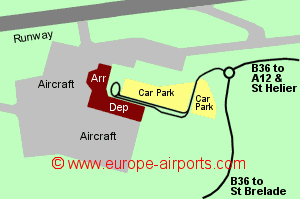 A regular bus service runs between the airport and St Helier approximately every 30 minutes during the day (may be less frequent in winter). Facilities include 4 bars/cafes/restaurants, 5 shops, currency exchange, ATM, post office, 2 executive lounges ( British Airways and Flybe), baby changing facilities, Internet access kiosks, and FREE WiFi Internet access. 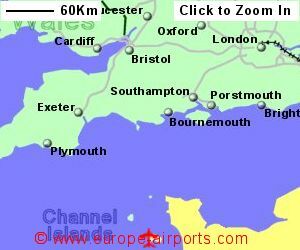 Jersey airport handled 1.6 million passengers in 2017, a 1% increase from the previous year.